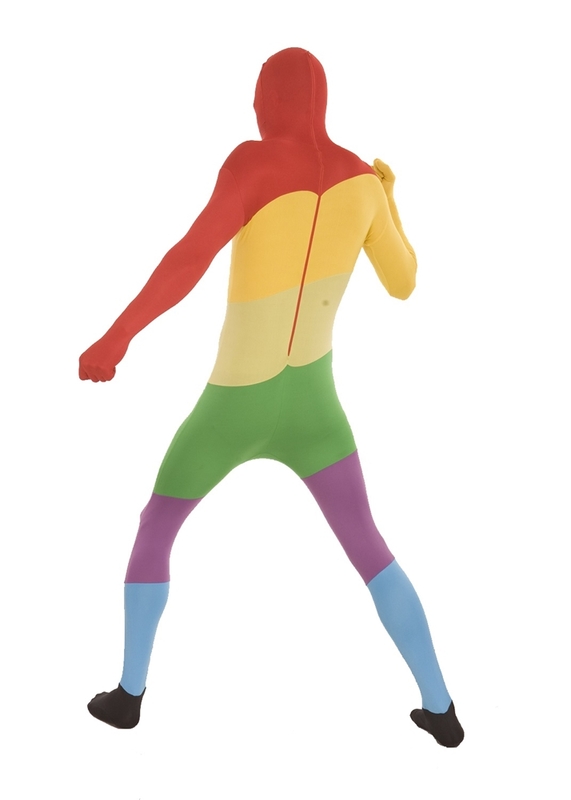 Celebrate in color with this Colorful Shape Shifter Adult Unisex Skin Suit. Made of 95% polyester and 5% spandex, this adult unisex skin suit fully encloses the head, hands, and feet. It features a back zipper closure for slipping in and out of the costume. 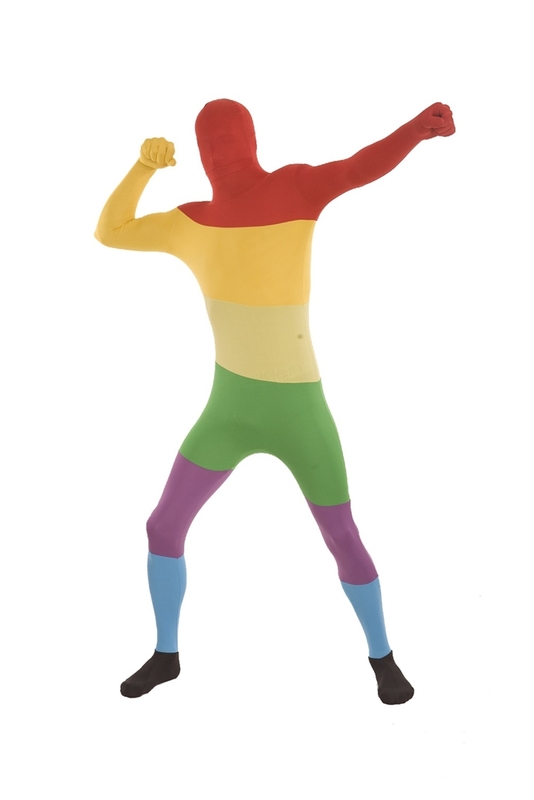 The skin suit is colored in horizontal rainbow stripes. 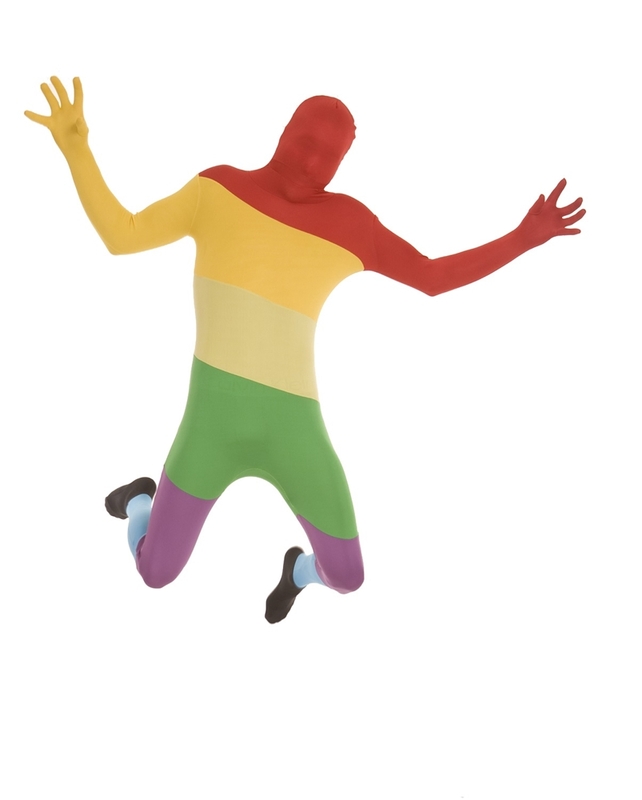 Fantastic for men and women, this Colorful Shape Shifter Adult Unisex Skin Suit provides a quick and easy Halloween costume or a fun outfit for sporting events and festivals.